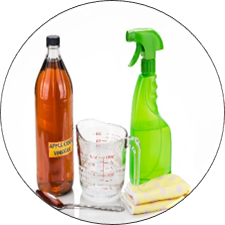 We are a full-service cleaning company that offers both traditional and eco-friendly products and solutions for all of your cleaning needs. We pride ourselves in not only providing the best cleaning service in Abilene, TX, but also in using products that keep you and your family (even your pets!) safe and clean. In our standard cleaning service we offer a wide spectrum of detailed cleaning services. Contact us with inquiries for specialized clean-ups or to ask about services that are not listed as standard. We will do special quotes for your needs at your home or office. We are excited for you to get to know Sudzees Cleaning Company of Abilene, TX. When it comes to hiring a cleaning service or filling your maid service needs, you want a reliable and honest team working for you. 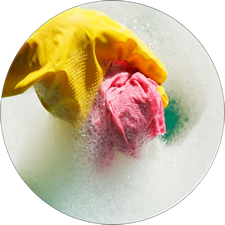 Sudzees Cleaning in Abilene will meet the needs of any residential customer or commercial client. 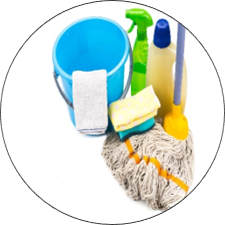 We have been delivering high-quality house and office building cleaning services for over 20 years, so whether you need help with a one-time event such as move-in or move-out cleaning or construction cleaning, or you want to hire a regular cleaning service company, Sudzees Cleaning will provide you with experienced, dependable and flexible service. As a locally owned and operated, we can offer personalized services to all of our customers. We are also fully equipped, trained, insured and bonded. Your promise from us is that we will leave your home or business Sudzee clean. Contact Us today to find out how we can help you with your cleaning needs! If you don’t see a service, just ask! We employ a team that enjoys and cares for our clients as they would like to be cared for. They are highly-trained and love what they do for the home, business, family, pets and the environment.